On Sunday, during England’s second innings, Virat Kohli-led India wasted the first review within 10 overs. 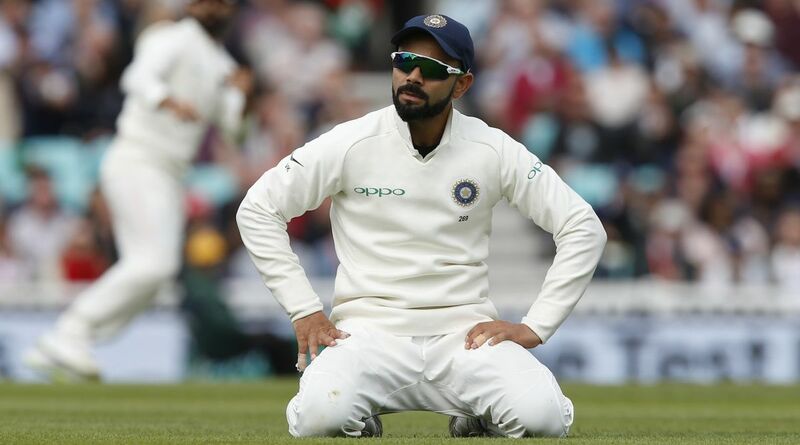 Former England captain Michael Vaughan has called Indian skipper Virat Kohli “the worst reviewer in the world” after the visiting team lost both their reviews within 12 overs in the third innings of the ongoing fifth Test match being played at the Oval. On Sunday, during England’s second innings, Virat Kohli-led India wasted the first review within 10 overs. Ravindra Jadeja was bowling Keaton Jennings and the ball hit on the pads. There was a huge shout for a leg-before decision. Though the ball clearly was missing the wickets and the impact was outside the off-stump, the 29-year-old Indian captain went ahead with the review and a review was lost by the visiting team. Virat Kohli’s decision to challenge the on-field umpire was poor because Jennings had gone across by a fair margin to play the sweep. Virat Kohli wasted the second review in the 12th over and once again the ball was in Ravindra Jadeja’s hand. In the 12th over, Jadeja bowled to Alastair Cook and once again the impact was clearly outside the off-stump yet Virat Kohli decided to go for a review. And just like that India lost their both reviews when England were just two wickets down.